It is midnight in Crackledawn – a midnight full of magic. Sea dragons stir in the depths of the ocean, silver whales surface beneath the moon and sand goblins line the shores. Everyone is waiting for the phoenix, the guardian of the kingdom’s magic, to rise up from the forests of Everdark. But there is no sign of the phoenix tonight. Something else surges up out of Everdark instead: a harpy bent on stealing Crackledawn’s magic. 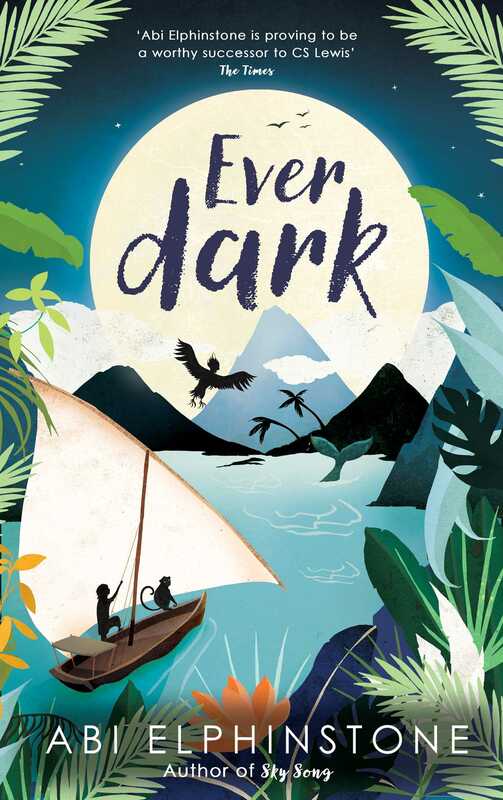 It is up to an eleven-year-old girl called Smudge and an eccentric monkey called Bartholomew to set sail beyond the legendary Northswirl and stop the harpy before it’s too late. Abi Elphinstone grew up in Scotland where she spent most of her childhood running wild across the moors, hiding in tree houses and building dens in the woods. After being coaxed out of her tree house, she studied English at Bristol University and then worked as an English teacher in Africa, Berkshire and London. She is the bestselling and multi-award shortlisted author of RUMBLESTAR (first in The Unmapped Chronicles series), SKY SONG & THE DREAMSNATCHER TRILOGY. When she's not writing Abi volunteers for Beanstalk, speaks in schools and travels the world looking for her next story. Her latest adventures include living with the Kazakh Eagle Hunters in Mongolia and dog-sledding across the Arctic.